The old saying goes “we are what we eat”; the truth is we are also what we do not eliminate! Did you take a moment to think about that? Over years, due to our modern refined diet, old food material may start to accumulate in the gut. It has been documented that the average rural person on a natural high fibre diet holds 3 meals in his digestive tract whilst the average person on a refined Western diet holds 8 meals! This old food matter hinders normal digestive functioning and, as it putrefies, feeds harmfull micro-organisms whilst generating toxins that are absorbed into your body. Overtime this excess food we carry, mixed with digestive secretions, can become compacted inside your intestines. This layer may increase in size over time. Medically this is known as faecal impaction. Clearly we do not want this inside of us! The bad news is, if you have been struggling with constipation, you probably have some unwanted food matter stored up inside of you. This old food matter can cause constipation as it inhibits peristalsis and blocks the food moving through your gut. It may also make that high fibre diet more difficult to follow. The good news is that old food wastes can be easily, gently and naturally removed. There are two methods to remove the old food wastes, one method is by doing a series of colon irrigations or colonics whilst fasting. A typical session can be anything from R250 – R500. No more than 5 sessions should be done in a row unless there is medical supervision. If you decide to follow this method it is very important to go to a highly experienced professional. The effectiveness of colonics can be enhanced by using natural colon cleansing supplements whilst going for the colonics. The second method can easily be followed at home, without any change to your day to day schedule and without special equipment. This is done through the use of colon cleansing supplements. Not all products are created equal and therefore you want to find a reputable company. 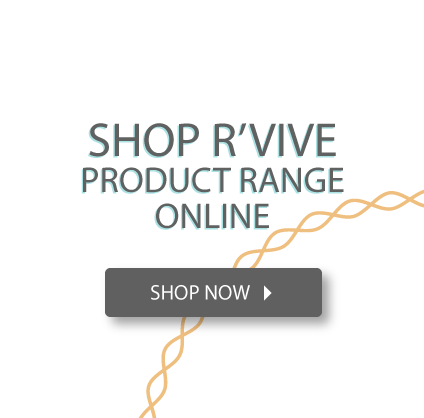 We have found that we get really good results from the R’vive range. During the day you drink a supplement that binds to the old waste and toxins. At night you drink a supplement that ensures you have regular bowel movements, thereby passing the old food material. This method is highly effective in removing the very old, compacted food material. How often should you do a cleanse? Well, that depends on how much you need it. Some people do well after one cleanse, some people need to repeat the cleanse. Some people cleanse once a year as they do not follow a 100% healthy diet. You will know by how your body feels. Should you decide to do more than one cleanse leave at least 3 months between cleanses to allow gut to normalise between cleanses. Another point to remember, when doing a colon cleanse your whole body cleanses at the same time. Wastes from the rest of the body are dumped into the colon where they can now be effectively absorbed by the cleansing supplement and excreted. A colon cleanse is therefore a perfect opportunity for your body to detoxify and prevents reabsorption of toxins excreted through the gut. What can you expect after a cleanse? Better digestion and absorption of nutrients, easier and more regular elimination, reduced gas and bloating, increased energy and mental focus, strengthened immune system, reduced cravings and food dependencies resulting in weight loss, less body and breath odours, and clearer skin. Beat constipation by improving your digestion by using digestive enzymes. Beat constipation by: Taking probiotics.